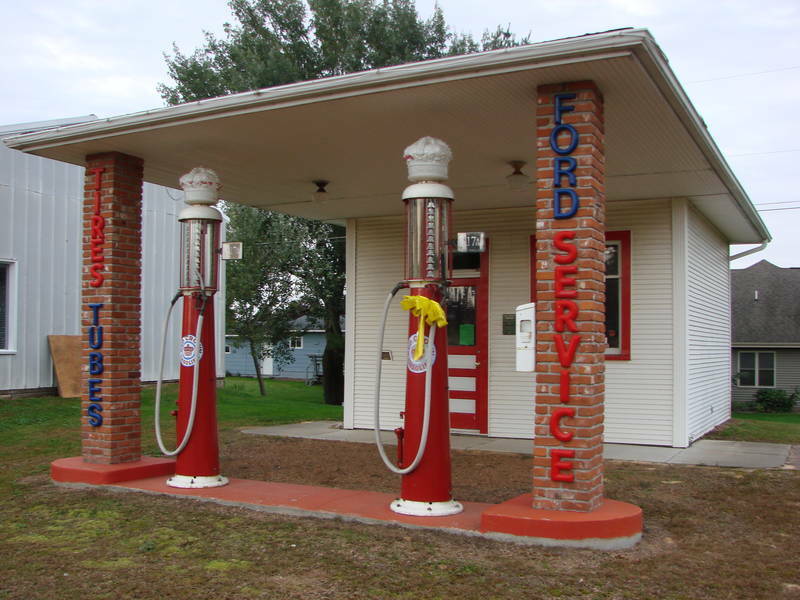 Aumann Train Museum displays in Loyal, Wisconsin. . . . A Ford gas station .